Logic, Reef the Lost Cauze, Scorzayzee, Ruste Juxx, Jarren Benton Feat. Vinnie Paz and more. This show was 8th in the global rap / hip-hop chart and 33rd in the global underground hip hop chart. 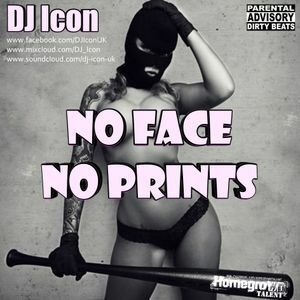 DJ Icon presents No Face No Prints - Underground Hip-hop mixtape of current and classics from the USA to UK. DJ Icon can be heard on Radio2Funky (www.radio2funky.co.uk) live each and every Thursday night from 10pm - 12am on The Urban Multi-Genre Mix Show.